Unfortunately, there are times that medical issues require our loved ones to move into a long-term care facility in New York to remain safe and properly cared for. Nursing homes are extremely expensive and Medicare provides very little coverage for the long-term costs of a nursing facility. It is frightening and daunting when a loved one requires long-term nursing home care and either does not have the money to pay for nursing home care, or their savings will ultimately be exhausted by the cost of that care. Institutional Medicaid can be the answer. While Medicare will provide some short-term coverage for the costs of a nursing home, that coverage is limited and quickly exhausted. Institutional Medicaid is a program that will fully cover the cost of nursing home care for those who are eligible and without limit. Medicaid benefits while protecting some or all of their assets depending on their individual situation. 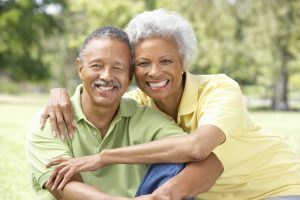 When faced with the need for expensive long-term nursing home care for a loved one, call New York Medicaid Consulting LLC, Medicaid planning experts, and let us help manage the situation and obtain the necessary care for your loved ones and obtain whatever asset protection is available to them. Too many people are exhausting their life savings for long-term care not realizing that they can qualify for Medicaid benefits and protect their savings and income. Our mission at New York Medicaid Consulting LLC is to develop a Medicaid plan that provides the needed Medicaid benefits for your loved ones. As our loved ones age, we know that the security and comfort of their home provides the highest quality of life for them. Unfortunately, there are times that medical issues require our loved ones to move into a long-term care facility to remain safe and properly cared for. Pooled Income Trusts can protect your monthly income that exceeds the Medicaid limits.